The winter months can be a time when we stay inside and think about all the things we’d like to do once Spring arrives. For many, thoughts of home improvement or even buying a new home will be at the top of that list. Why wait? 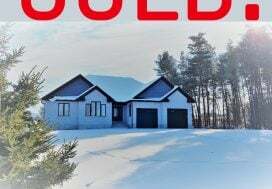 Winter time can be a great time (yes, even in the Markdale/Flesherton area, in the Beaver Valley or on Lake Eugenia) to make real estate market conditions work for you so that you can reach your goal of home ownership a few months early. Here are some reasons to consider speeding up your plans and to start the search for your dream home today. Don’t wait for the spring rush, there are very good reasons to buy a home this winter! FEWER BUYERS MEANS LESS COMPETITION There may be fewer properties available during the winter months, but that’s ok because there are fewer buyers as well. That means it should be less time consuming to weed through properties to find the one that’s right for you, as well as less competition when your agent is trying to book you a showing. Not to mention a lower likelihood of you having to enter into a competing offer situation. That’s motivation enough! BETTER LIST PRICES Fewer buyers also means sellers have a smaller audience to market their property to. 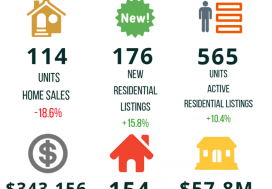 Because no one wants to miss the opportunity to sell, list prices are more likely to be set at (or at least closer to) market value than during the spring and summer. Warm weather months are more likely to bring in a higher number of potential buyers so there’s sometimes room for a little bit of risk associated with a higher list price. In a slower winter market, if list price is too high a seller simply won’t get any traffic. Most real estate agents will be more likely to encourage their sellers to list at market value to increase the odds of a sale price that everyone is happy with. MORE FLEXIBILITY WITH PURCHASE CONDITIONS When buyers and therefore offers to purchase are more likely to be seen in smaller numbers, a seller might feel more inclined to consider some reasonable conditions attached to an offer to purchase. Purchases based on “Sale Of Buyer’s Property”, for example could be viewed more favourably during the winter when a seller doesn’t have another offer waiting in the wings to see how yours plays out. Purchase conditions still need to be reasonable, of course, but a winter purchase may give you the time you need to tidy up loose ends and still get your purchase closed just in time for warmer weather. EASIER ALTERNATIVE HOUSING What if your closing date doesn’t line up with the seller’s plans? During the busier summer months, it could be more difficult for a seller to find somewhere new to go (short term rental, etc). Winter months generally see less traffic in this area, so it should be easier for sellers to make alternative housing arrangements if that’s what’s deemed necessary in order to get their house sold. 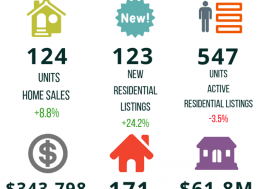 RELATED SERVICES READILY AVAILABLE Real Estate isn’t the only area that sees a slowing in market activity during the coldest of the winter months. Often, related industries (moving companies, real estate lawyers, etc) follow the same patterns of activity which could make those services more readily available for you. That should, in turn, make for a smoother, less stressful transaction for both buyers and sellers. Don’t wait for the spring to enter the real estate market. Winter can be a great time to buy a home. Why not take advantage of favourable market conditions and get a leg up on other buyers. With less competition, better asking prices and sellers who are more likely to show some flexibility you really have nothing to lose by starting the search for your dream home a few months early! If you have any questions about real estate, would like to view specific properties or would like me to help you find your next home or property, please don’t hesitate to give me a call. When you’re ready to start your search, forward me your wish list (property/house features) and I’ll send you new listings as soon as they appear on the real estate Board. I am always more than happy to do whatever I can to help you with your real estate needs! Family Day in Markdale and Priceville!